Last week, PRI’s Executive Director, Alison Hannah, attended the World Health Organization (WHO) international meeting on prisons and health in Lisbon. This international meeting, which was jointly organised by Public Health England (PHE) and the European Monitoring Centre for Drugs and Drug Addiction (EMCDDA), brought together over 100 experts in the field of prison and public health, with representatives from over 30 countries. The aim was to share information on drugs and drug-related harms in prison and to highlight good practices. Prisoners have higher rates of drug use than the general population and people with drug-related problems make up a significant proportion of people in detention. The criminal justice system is designed to punish the offender; public health professionals see prison as an opportunity to improve the health of vulnerable groups with HIV/AIDS, Hepatitis C and TB. Such diseases are often spread in prison through injecting drugs or sexual transmission. Speakers gave examples of good medical practice and effective treatment for some of the drug-related diseases that prisoners suffer. Hepatitis C is a serious disease that affects the liver and can severely reduce quality of life. However, there are now effective treatments that will benefit almost all those affected. Indeed, the disease can be entirely eliminated – an example of prisons presenting an opportunity to improve not only the individual’s health but that of the wider public too. All too often, however, prison systems do not provide the most effective treatments, for reasons of political judgement rather than medical evidence. Interventions such as needle and syringe exchanges, opioid substitution therapy and condom distribution are often rejected, even though they have been proved to have a major impact on reducing the spread of disease. Alison Hannah, PRI’s Executive Director, presented an alternative approach to reducing the spread of drug-related diseases in prison. By sending fewer people to prison, many negative health consequences can be avoided, through reducing overcrowding – which presents health risks as well as overburdening staff and stretching resources to breaking point. It also enables offenders to receive better treatment in the community than most prisons can provide. Currently one in five prisoners worldwide are incarcerated for a drug offence. Of these around 83 per cent are for drug possession – the lowest category of offence. Yet there is no evidence to support the view that this ‘war on drugs’ has solved the problem of drug use or drug trafficking. For these reasons, PRI joined with other international networks and alliances to present the case for change at the UN General Assembly Special Session on Drugs in 2016. The outcome of this discussion did not change global policy, but it did raise awareness of alternative approaches to the problem. The Outcome Document called for ‘proportionate national sentencing policies, practices and guidelines for drug-related offences’, with consideration of aggravating and mitigating factors when determining the appropriate sentence. Countries such as Portugal – and now Norway – show the way. 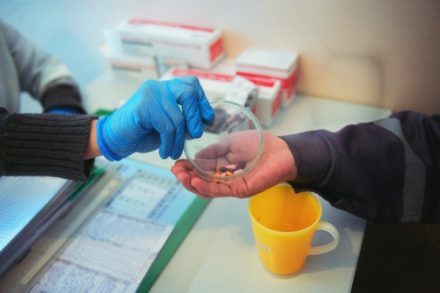 Portugal’s experience since 2001 demonstrates that decriminalising drug offences has resulted in reducing the spread of HIV infections inside prisons as well as drug overdose deaths. The next opportunity for PRI and others to put the case for reform will be at the UN Commission on Narcotic Drugs in 2019. By then, more member states may have followed Portugal’s example, changing the criminal justice system’s response to drug offences and, in doing so, improving public health. Take a look at PRI’s resources on drug policy, including our 10-point plan on reforming criminal justice responses to drugs and a briefing that looks at the unintended negative consequences of the ‘war on drugs’.